I received an eARC from the publisher via NetGalley for review. All thoughts and opinions are my own. This post contains affiliate links. I am an Amazon affiliate and I may receive a small commission if you make a purchase through one of my links. 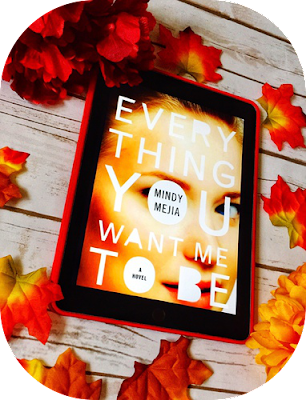 Everything You Want Me To Be is a good mystery/thriller that I found intriguing and surprising. I knew from reading the synopsis that this would be an interesting mystery/thriller that I would likely enjoy. A young girl is murdered and there are multiple suspects. Who killed Hattie? Why would someone want her dead? Who can be trusted? Who is keeping secrets? This was such an intriguing story. The story is told from three perspectives: Hattie, an impulsive teenager who is found murdered; Peter, the high school teacher who becomes a murder suspect; and Del, the town's sheriff who investigates Hattie's murder. I liked that this story was told in multiple perspectives because it gave me more of an in-depth look into the lives and personalities of the characters, and it helped to reveal the motives behind the characters' actions. I found the story easy to follow, even though there are multiple point of views. I thought the main characters in this story were all well-developed and interesting, especially Hattie, who was a very multi-layered character. She could be very manipulative and cunning, but she also seemed lost and vulnerable, and it was sad to read from her perspective knowing what her fate would be. Peter was another interesting and complex character. He had many sides to him; he could be charming and kind, but also cold and deceptive. This was a well-crafted mystery that held my attention and kept me guessing until the very end. I definitely recommend this book if you are looking to read a great mystery/psychological thriller. 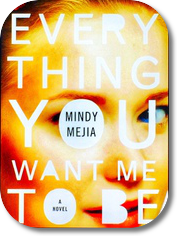 I look forward to reading more from Mindy Mejia.